I’ve had a string of strange experiences lately that I want to share with all of you — especially those on the job hunt. I’m working on a job opening which calls for, among other things, a) knowledge of a particular software program, and b) experience with a specific sort of research. Applications have been pouring in like, um, spaghetti sauce (trust me on this one). But I’m shocked and amazed how few folks are including these key qualifications in their resumes and cover letters. Perhaps more surprisingly, when I follow-up with candidates to ask whether they have these bits of experience/knowledge, many of them actually DO; but they just didn’t take the time to mention them! Baffling, isn’t it? 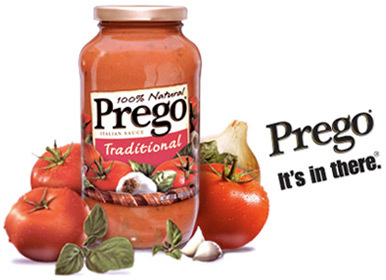 So this whole thing has me thinking about spaghetti sauce, specifically, Prego, and its catchy little tagline: It’s in there. When applying for a job, your application package ought to embody the slogan. If you’ve got the required experience, make sure it’s mentioned in the resume or cover letter. If it’s not there, how do you expect hiring managers to know you have it? Many hiring managers don’t have the time or desire to follow-up with candidates and poke and pry in order to determine if they have the necessary qualifications. They will assume a candidate doesn’t have the experience if it’s not included in the application package, and that is only logical. So do yourself a favor and create an application package that accurately reflects your background and how it relates to the job at hand. You’ll thank me later. And I’ll respond, naturally, Prego.